Buying an instrument is often a financial barrier that should not be underestimated, in order to be able to actively play music. 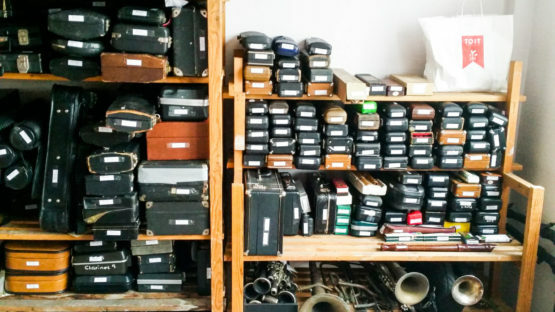 Music Fund lends or donates instruments to organisations developing musical projects for children, teenagers or adults with a vulnerable socio-economical background. The Sound of Home, an initiative led by the Klarafestival and SOS Kinderdorpen, which a.o. aims at covering the registration fees for 200 unaccompanied minors living abroad and the rental fees for instruments. Music Fund donated 15 guitars. 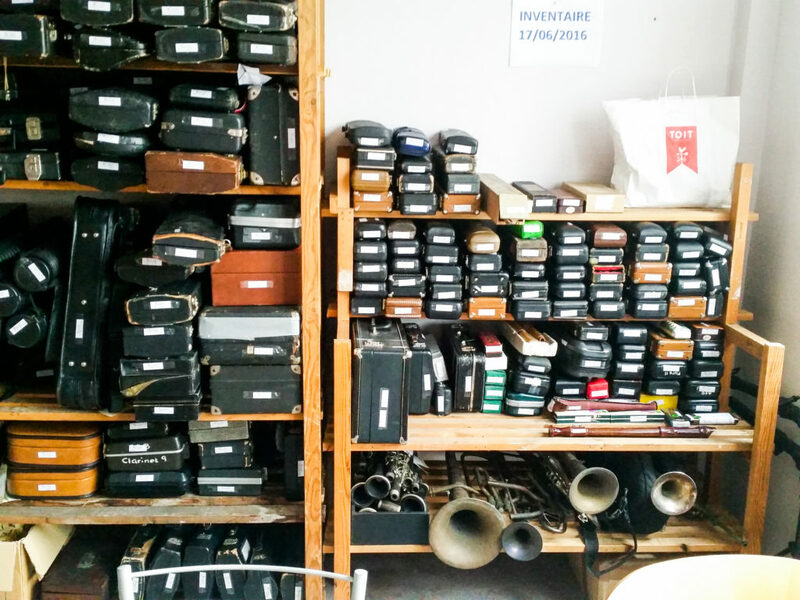 The Red Cross shelters , notably the Carda in Bierset, which welcomes asylum seekers suffering from trauma, have also received several of our instruments. Support for violin classes in De Centrale (Ghent), a music centre which puts a particular emphasis on the diversity of the urban population. Music Fund donated seven violins to Shalan, a teacher from De Centrale with a background in classical music which he gained in Damas. Some years ago he fled to Belgium. In the next few years, he will set up various musical productions in De Centrale and teaches young people who don’t have their own instrument. Want to know more? Or do you have a project you want to present to us? Contact us! We realize that music playing and introductory sessions about musical instrument repair and construction techniques can play a positive role for inmates. These activities require accuracy, concentration and patience and give participants the opportunity to dedicate themselves to the instrument making process, while strengthening their social skills thanks to the student-teacher interaction. 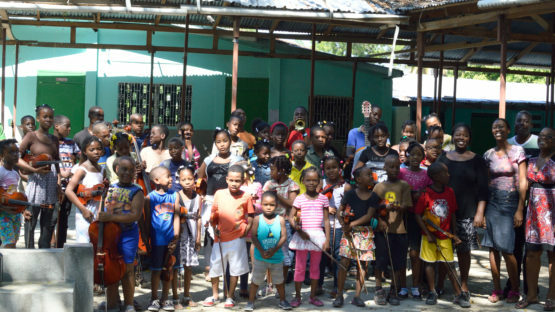 Music Fund first offered musical instruments and then started organising summer camps and even a workshop to make ukeleles. The motivation and enthusiasm of the participants were so high that we have by now organised 18 sessions on guitar making techniques to 5 inmates, led by Christian Bertram, coordinator of Music Fund’s workshops in Marche.